Now if you’re anything like us, when you’re having a big clear out at home there’s always a pile for eBay, full of items that are just too good to simply throw away and may actually make you some cash. But what springs to mind when you think of eBay? Is it brand new, high quality items? Or do you think of the site as an online car boot sale? Chances are it’s the latter. Due to increasing competition and consumers demanding more from online shopping, eBay is desperately trying to change this perception. eBay no longer wants to be compared to a car boot sale, and wants to be seen as the first choice to shop for new items. However unlike traditional online retailers, eBay doesn’t have full control over how people perceive the brand, which can be risky. The sellers largely influence customers by the type of products they sell, their content, and the overall shopping experience they give to customers. Many of us have also had negative experiences on eBay, whether it’s because a product completely differs from its description or simply never arrived. But it doesn’t leave too much of a lasting impression on that seller, because you associate the poor experience with eBay as a brand. We certainly agree that eBay needs to change its brand image and perception, as it’s simply become outdated. Since its launch in 1995, the world of online marketplace has changed dramatically, and there is increasing competition from the likes of Amazon and Etsy. According to Marketing Week, eBay is plans to tackle this brand reposition by using TV advertising, which it trailed in the UK this summer. In addition, eBay has also started utilising new technology with shoppable photos to make the shopping experience more personal and relevant to the customer. However one thing we did notice was the lack of emphasis, or even mention, on eBay sellers and how they fit into this new brand position. Is this a sign that eBay is looking to phase out its sellers in favour of focussing on customers? 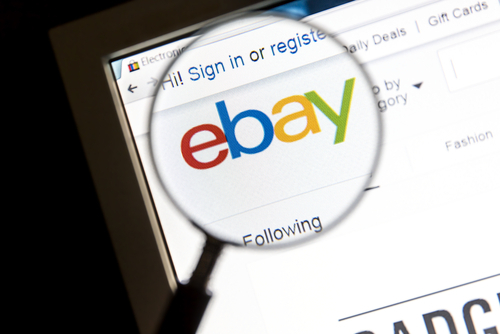 If the sellers still have a place on eBay then it’s crucial that the organisation has listened to and worked with this significant stakeholder group. We know from experience with branding work that in order to create a strategic plan, it is vitally important to work with each stakeholder group.